Rev Chidi Agodi Okoroafor(Phd) has been Re-elected as the General Superintendent Of Assemblies Of God Nigeria. The Re-election of the International Evangeliist and prolific Preacher as the General Superintendent Of Assemblies Of God Nigeria took place on Wednesday 22nd November 2018 at the Ongoing 2018 36th Quadrennial Council Meeting of Assemblies Of God Nigeria holding at Evangel Camp Okpoto Ebonyi State. The 36th Quadrennial Council meeting which began on Monday 19th November 2018 with the THEME “The Torch Of Our Founding Fathers” is currently ongoing with the Election of the Officers of the Church to serve for the next Four(4Years). The Guest Speaker of the Council Rev Appiah Boachie General Secretary Assemblies Of God Ghana who Represented the Ghana General Superintendent said the Founding Fathers of the Church has set the pace for the Church to follow. In his Message, he said whatever happens to the Nigerian Church, Africa will have Issues. The Bussiness Session was Declared Open by the Retired Afikpo District Superintendent Rev Johnson Odii who is also a Trustee of Assemblies Of God Nigeria at Exactly 10:21am. Chairman of the Roster Commitee Rev Dr Theophilus Anyimson Presented Ordained Ministers as 7350 and Delegates 2795 bringing a Total of 10145 Eligible Voters which was Adopted and Closed. 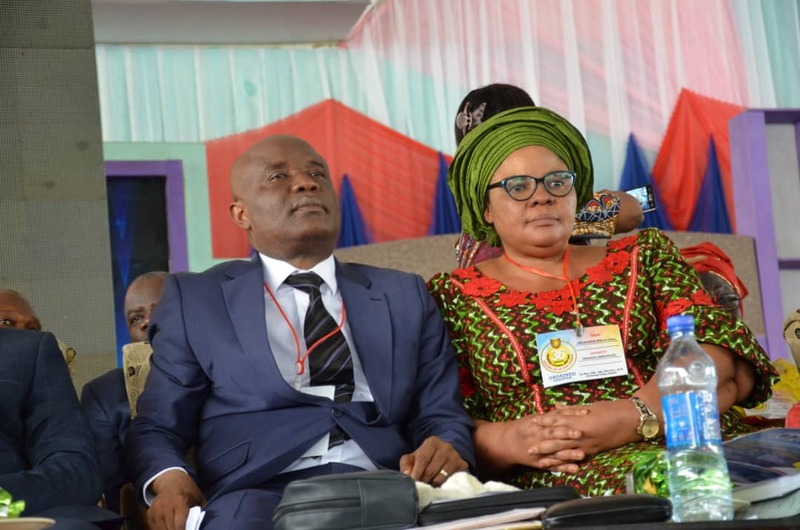 After Presenting his Report and in keeping with the Constitution and Bye laws of Assemblies Of God Nigeria, Rev Dr Chidi Okoroafor announced that the Executive Committee has appointed the Retired General Superintendent Rev Dr Charles Osueke to preside over the Election of the General Superintendent.